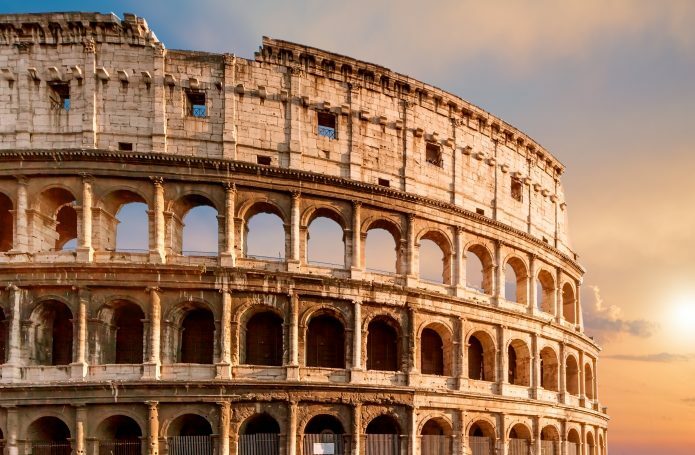 If you want or you can only visit Rome in two days you will have to organize your itinerary well in order to take advantage of the limited time and enjoy as many attractions as you can. 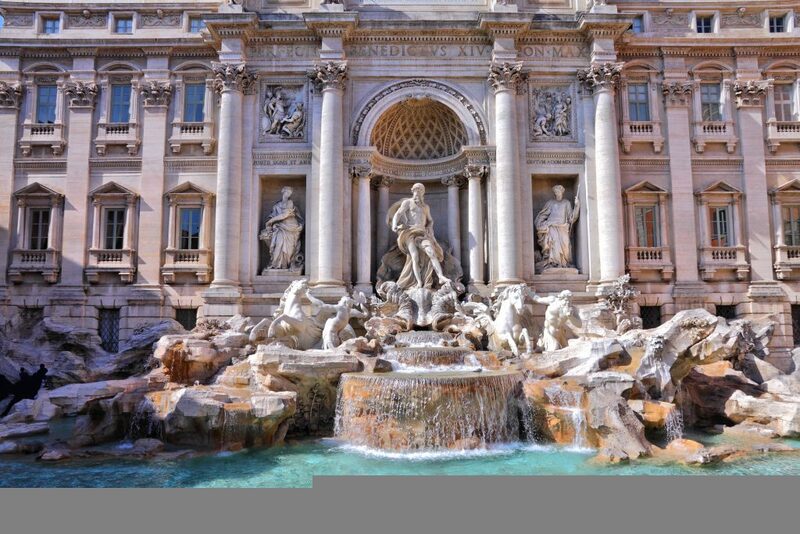 We help you by listing 5 of the attractions and monuments of Rome that you should not miss. 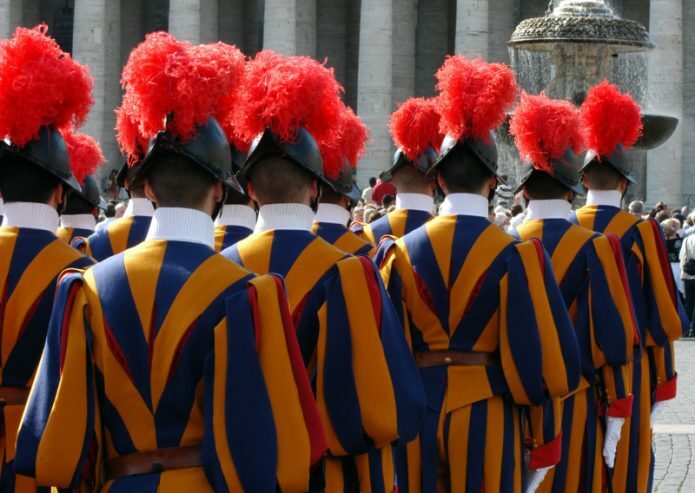 So here is our short list of things to be included in the tour to visit Rome in two days. 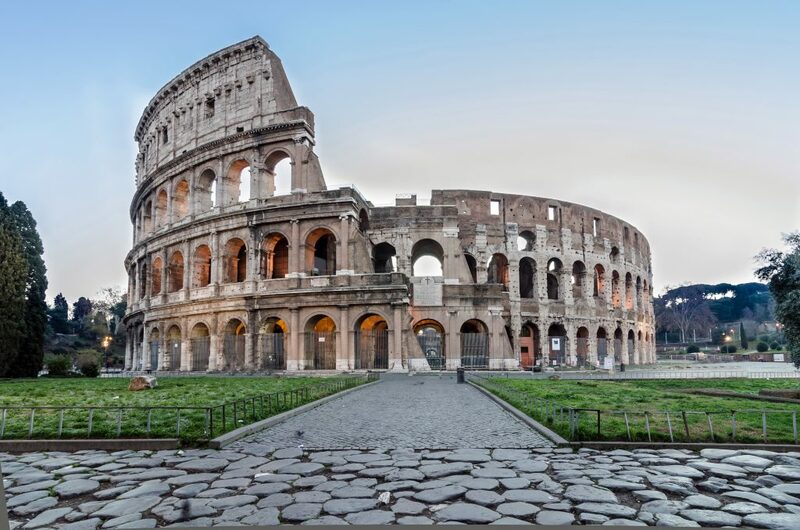 Symbol of the greatness and power of Rome, the Flavian Amphitheater, is the most famous and impressive monument of ancient Rome and an attraction that still attracts, after two thousand years, about 5 million visitors a year. 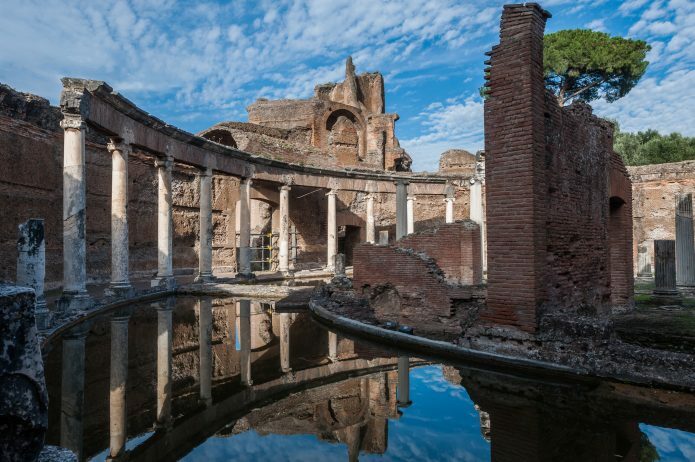 The amphitheater was built by the emperor Vespasiano on the land of the vast complex of the Domus Aurea of the emperor Nero. Work began in the year 2 a.d. and ended in 80 a.d. under the emperor Titus. The inauguration ceremony lasted 100 days, during which 5,000 animals were killed. The visit of the Colosseum, unmissable if you want to visit Rome in two days, should be completed with that of the “Fori Imperiali” (imperial Forums) that you can admire from the Via Alessandrina that runs along them. You will get an idea of what life was like in ancient Rome. The forums were in fact the main squares of the city, where public buildings stood, were there were markets and where people did their business. 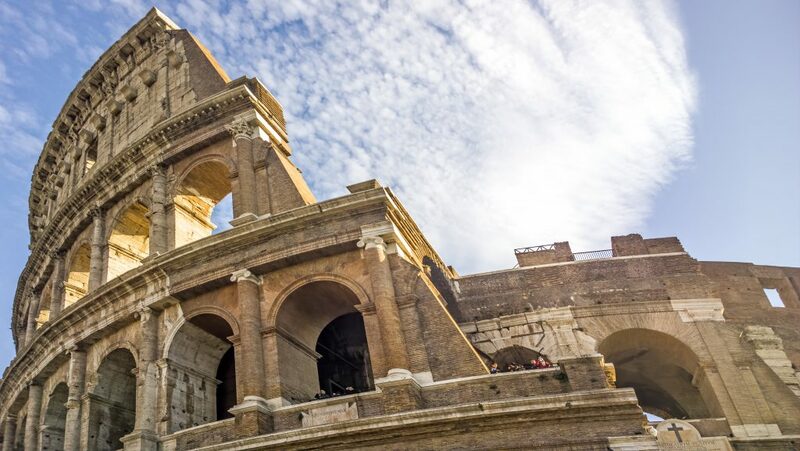 You can also visit the Roman Forum and the open-air museum of the Palatine: if you have entered the Colosseum, your ticket also includes a visit to the latter two. Buy the ticket online to skip the long lines! Information: all days except the 25 December and the 1st January 9-17. Until the15h February 8.30 – 16.30; from 16 February until the 15 March 8.30 – 17.00; from the 16 until the last Saturday of March 8.30 – 17.30; from the last Sunday of March until 31 August 8.30 – 19.15; from 1 to 30 September 08.30 – 19.00; from the 1st to the last Saturday of October 8.30 – 8.30. Full ticket € 12, reduced ticket € 7.50, free under 18 years. They constitute a public gallery of the world’s oldest sculptures. Created by Pope Sixtus IV in 1471, they were enriched by successive popes as new statues were brought to light. 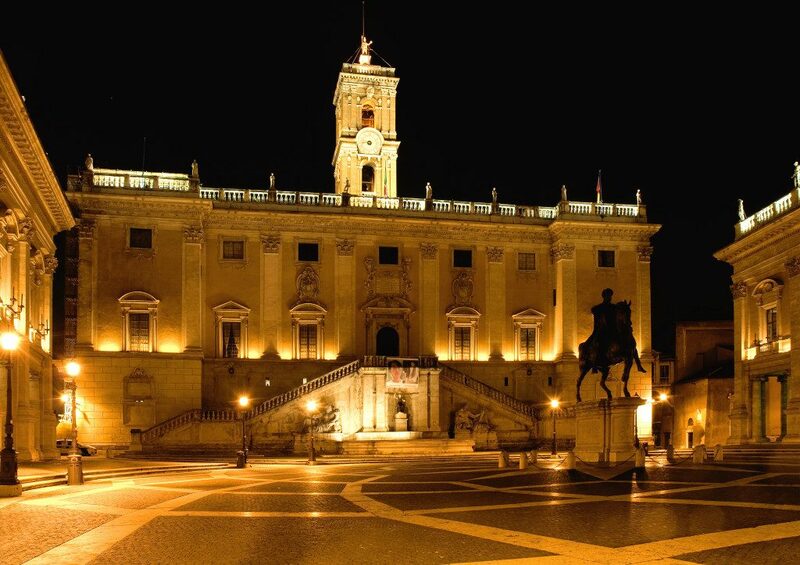 The museums occupy the Palazzo Nuovo and the Palazzo dei Conservatori, both located on the Campidoglio square. The Capitoline Museums host the equestrian statue of Marcus Aurelius. The one in the center of the square is a copy, while the original, which has been restored, is placed in a new glazed hall, the Esedra of Marcus Aurelius, in the Roman Garden, behind Palazzo dei Conservatori. Information: open every day 9.30-19.30, 24 and 31 December 9.30-14. The ticket office closes an hour earlier. Closed on January 1st, May 1st, December 31st. Full ticket € 14, reduced ticket € 12. It is located where in 324 a.c. the emperor Constantine had a shrine erected in honour of Peter the Apostle, who was crucified and buried right there. The look of today is due to the project of Bramante, dating back to 1506. It was built by artists such as Raphael, Antonio da San Gallo, Michelangelo. The interior, as well as the colonnade were made by Bernini. The basilica is the largest church in the world. If you want to climb on its amazing dome we suggest you to get the ticket online: skip the queue! Information: October 1 – March 31 every day 7.00-18.30 / 1 April – 30 September every day 7-19.00. 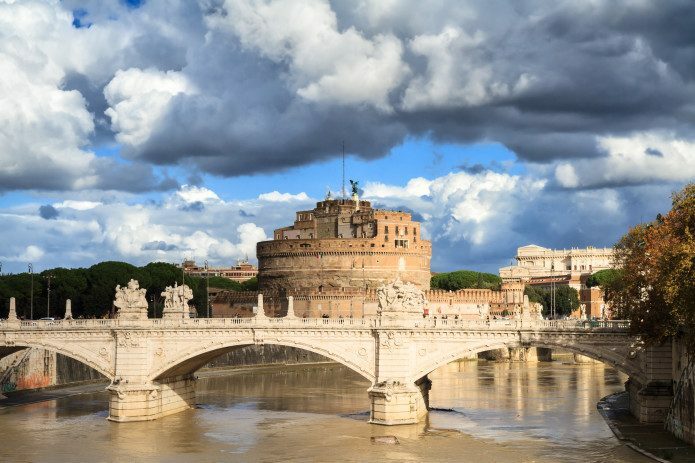 Also known as Hadrian’s Mausoleum, Castel Sant’Angelo was the papal fortress built in the Middle Ages on the remains of the emperor Hadrian’s mausoleum. (II century a.d.). It is located not far from the Vatican to which it is connected via the fortified corridor called the “passetto”, in the Borgo district. The fortress has been modified several times in the Middle Ages and in the Renaissance. Do not leave the fortress without a stop on the “Terrazza dell’Angelo”, where you can enjoy a spectacular view of the city. In order to avoid queues and save time, we recommend you to order your ticket online. Together with the Colosseum it is one of the symbols of Rome in the world. This splendid baroque fountain, designed by Nicola Savi in 1732, occupies almost completely the small square in which it is located. It represents the waggon of Neptune pulled by tritons with sea horses (a wild one and a docile one) that symbolize the different aspects of the sea. 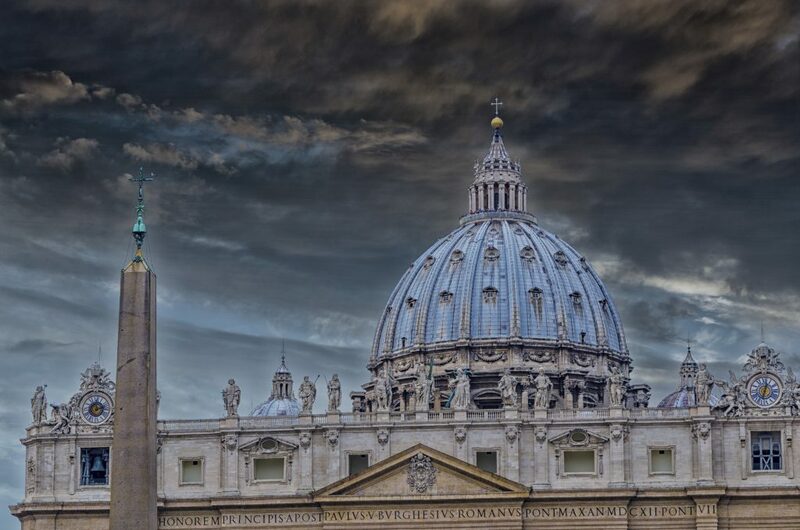 It is among the most photographed monuments in Rome. 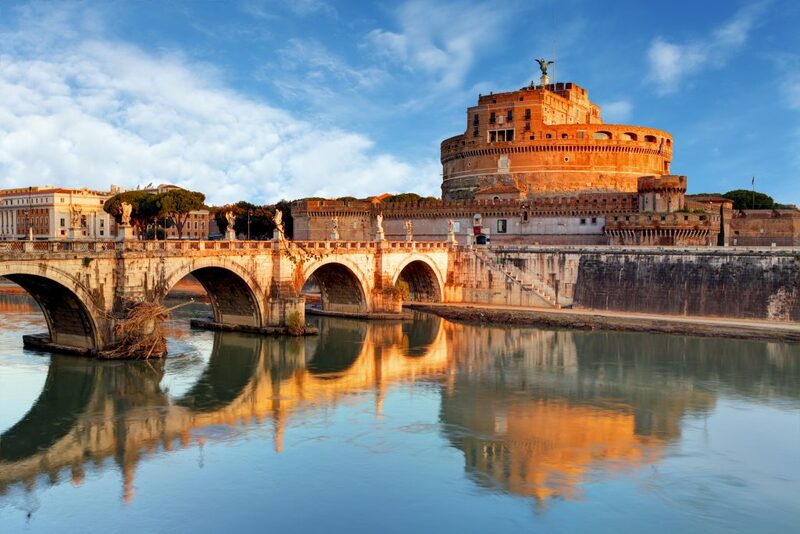 Visiting Rome in a week will be an unforgettable experience for you. You will have time to enjoy what the eternal city has to offer to its visitors. We suggest you the main attractions and monuments that you absolutely should not miss. They are all super-searched attractions, so we suggest you to get an online ticket before you start your visit, in order to avoid the queue and to save save time and energy for the visit! Symbol par excellence of Rome and of Italy itself, it is the most visited attraction in the city, with almost five million visitors a year. Started by Vespasiano in 72 d.c., was inaugurated by his son Titus in 80 a.d. It could host more than 50,000 spectators who came here to watch gladiatorial or animal fights. It is the largest of the Roman monuments left until today. The queues at the entrance are very long. We therefore advise you to buy the ticket online for priority access. It is located where the emperor Constantine had a shrine erected in the year 324 in honor of Peter the Apostle, who had been crucified and buried right there. Today’s look is due to the project of Bramante, dating back to 1506. 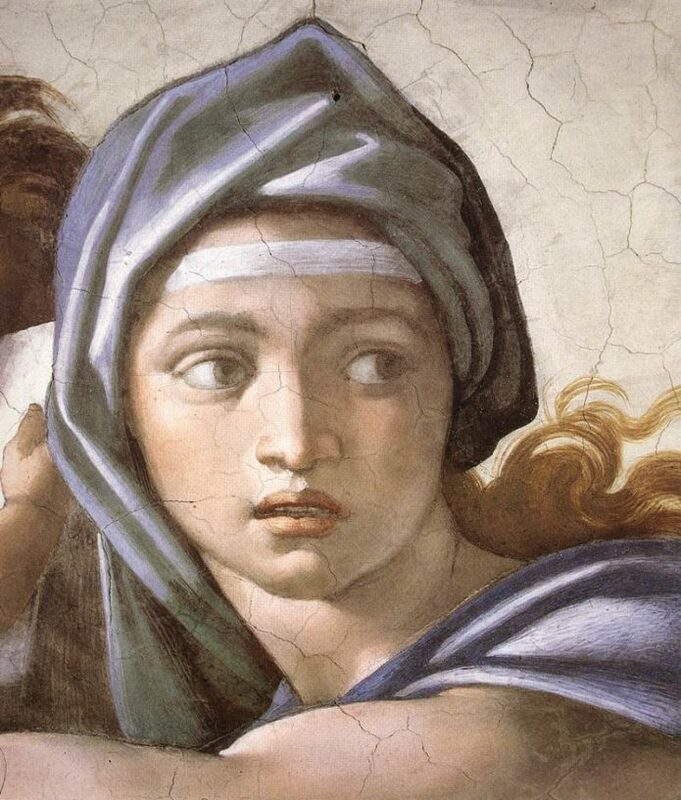 It was built by artists such as Raphael, Antonio da San Gallo, Michelangelo. The interior, as well as the colonnade were made by Bernini. The basilica is the largest church in the world. If you want to climb on its amazing dome we suggest you get the ticket online: you will be able to skip the line! Opening times: 1st October – 31 March every day 7.00-18.30 / 1st April – 30 September every day 7-19.00. 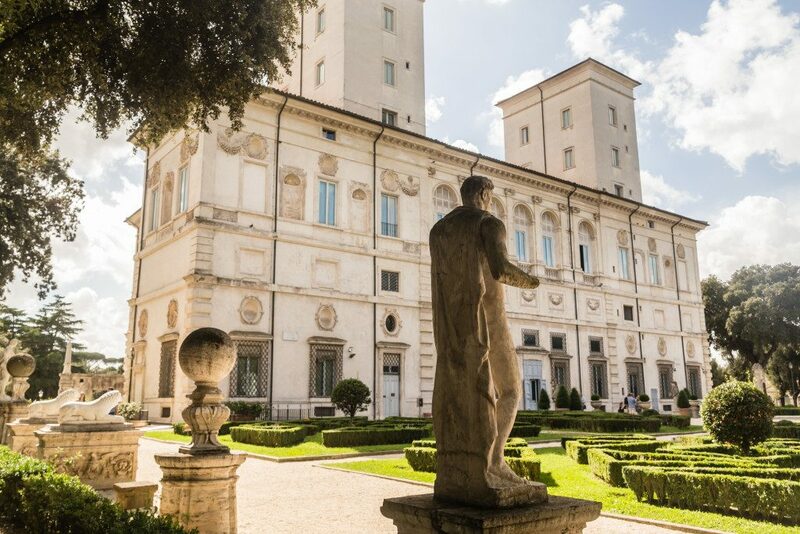 Among the most beautiful museum complexes in the world, they host an incredible collection of works of art collected by different popes over the centuries. 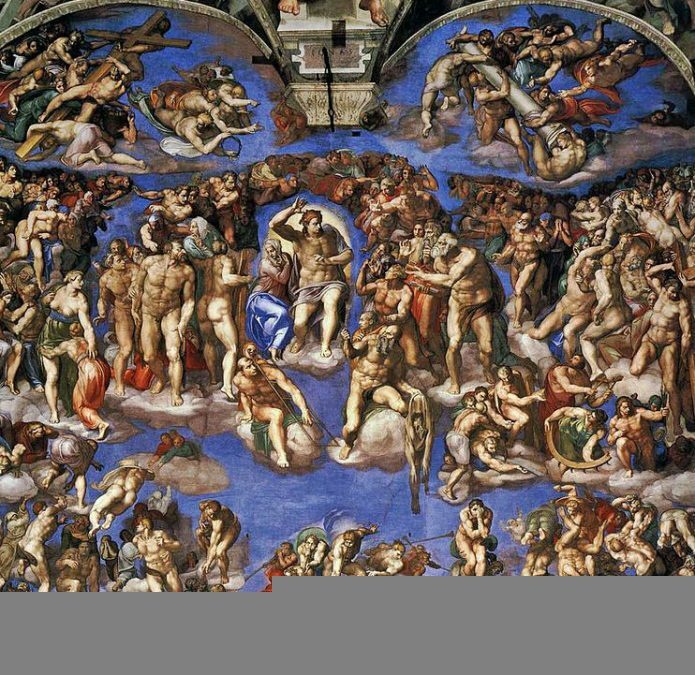 To visit them it is possible to make different itineraries, all of which end with the Sistine Chapel. The buildings that house the Vatican Museums extend over an area of 5.5 hectares. 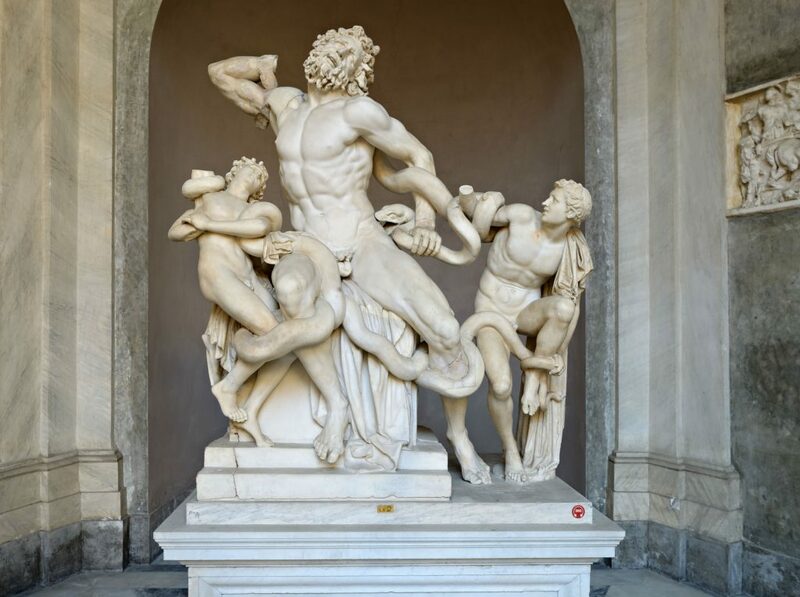 The Pinacoteca, the Pio-Clementino Museum, the Geographical Maps Gallery, the Raffello Rooms and the Sistine Chapel are absolutely worth seeing. There are very long queues at the entrance. If you want to save time and effort, you should purchase an online ticket. Opening times: Monday to Saturday 9.00-18.00 (last admission at 4pm and exit from the rooms half an hour before closing). Full ticket € 16, reduced ticket € 8. A temple dedicated to all the gods, this building, which is one the best preserved buildings of ancient Rome, was transformed into a Christian church in 608. 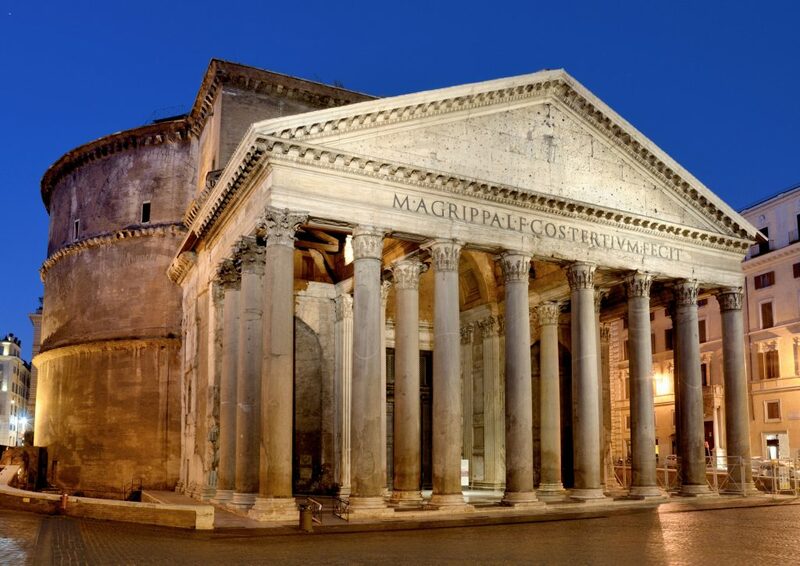 The Pantheon was built by Agrippa in 27 b.c., as attested by the inscription on the pediment. Both its height and the diameter of the interior measure 43.3 meters. The extraordinary dome, which is the largest stone vault ever built, is considered the most important work of classical architecture. 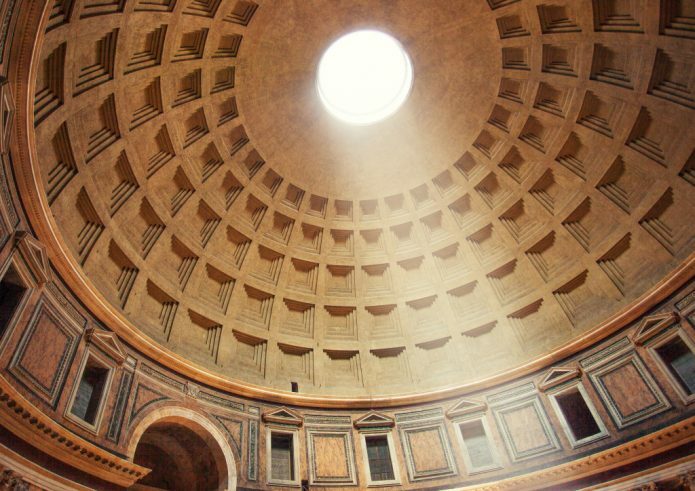 Together with the Colosseum, the Pantheon is one of the great symbols of Rome and the best preserved ancient monument of the capital. Among the most photographed monuments in Rome, along with the Colosseum, it is one of the symbols of Rome in the world. This splendid baroque fountain, designed by Nicola Savi in 1732, occupies almost completely the small square in which it is located. It represents the waggon of Neptune pulled by tritons with sea horses (a wild one and a docile one) that symbolize the different aspects of the sea. Piazza Navona is the window of the center of Rome with its sculptured fountains, the beautiful Baroque palaces and the outdoor cafes. The square is always crowded with tourists, street artists, street vendors. 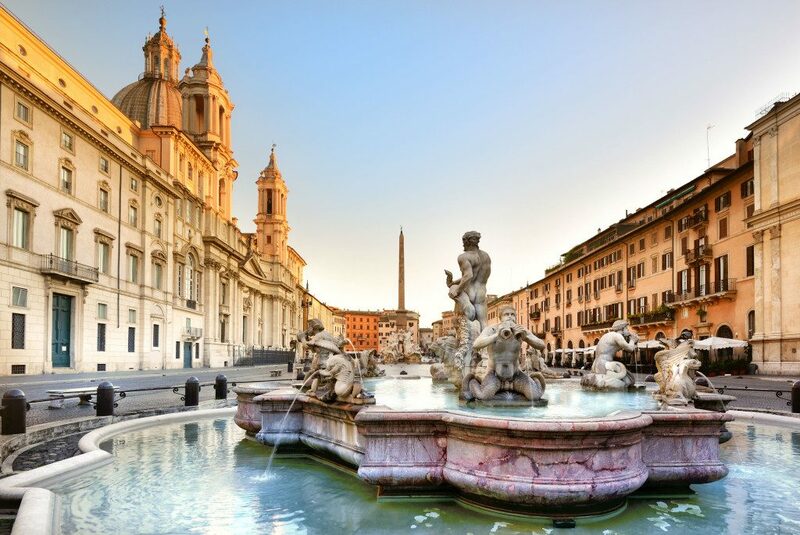 Piazza Navona has been the seat of the main market of the city for 300 years. In this square you can compare the works of two great artists of the Baroque: the fountain of the four rivers by Bernini and the Church of Sant’Agnese in Agone built by Borromini. 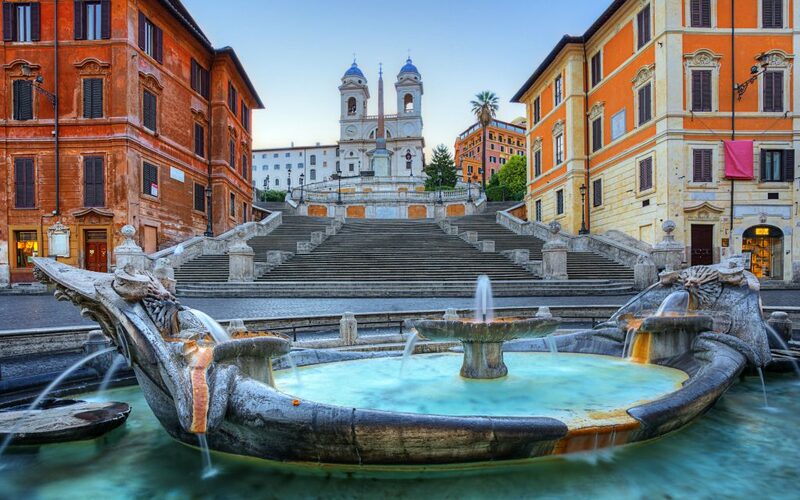 This 1725 Baroque square, with its famous Trinità dei Monti staircase (recently restored), has always attracted tourists and travelers and is still today a popular meeting place. The fountain in the shape of a boat (the Barcaccia) located in the square, is the work of Pietro Bernini, father of the famous Gian Lorenzo, and represents a sinking boat. It is one of the main places of the nightlife in the historic center of Rome. Located in the park of Villa Borgese, a green lung of Rome, it hosts one of the most prestigious collections of art objects in Rome. In one place you will find a concentration of works by Caravaggio, Bernini, Botticelli and Raphael, and the famous statue of Canova portraying Paolina Borghese as the winning Venus. We recommend you to buy an online ticket for priority access. Opening times: closed on Monday, Tuesday to Sunday from 8.30 to 19.30 closed on January 1, December 25. The entry is allowed up to half an hour before the closing time. Full ticket €11,00(9,00 + 2,00 of mandatory booking), reduced ticket €6,50 (4,50 + 2,00 of mandatory booking). The cost of the entrance ticket could be increased. Connected to the Colosseum through the monumental Via dei Fori Imperiali is perhaps the most important crossroad of the city. 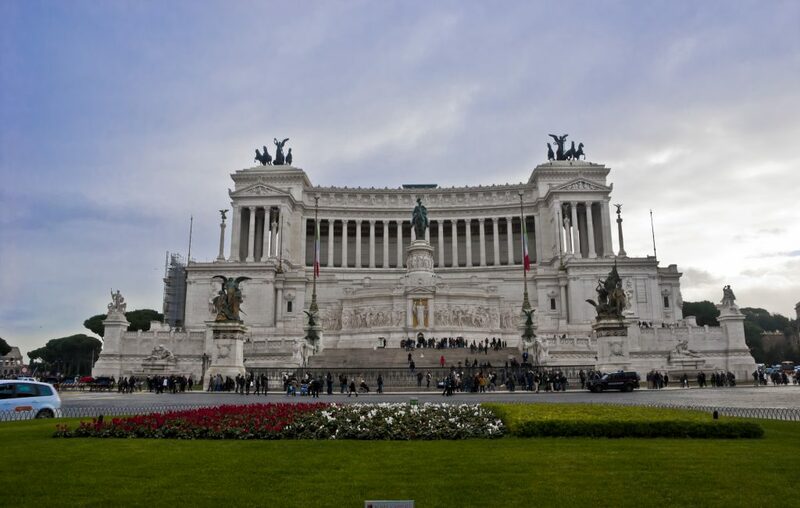 On its sides there are Palazzo Venezia, the first large Renaissance building in Rome and the Vittoriano, a monument built since in 1885 to celebrate the unity of Italy. Inaugurated in 1911 it was then dedicated to the unknown soldier. Online tickets are recommended to avoid long lines. They constitute a public gallery of the world’s oldest sculptures. Created by Pope Sixtus IV in 1471, they were enriched by successive popes as new statues were brought to light. The museums occupy the Palazzo Nuovo and the Palazzo dei Conservatori, both located on Piazza del Campidoglio. There are so many movies set in Rome that have become part of our culture and have become a reference point in the collective imagination of each of us. 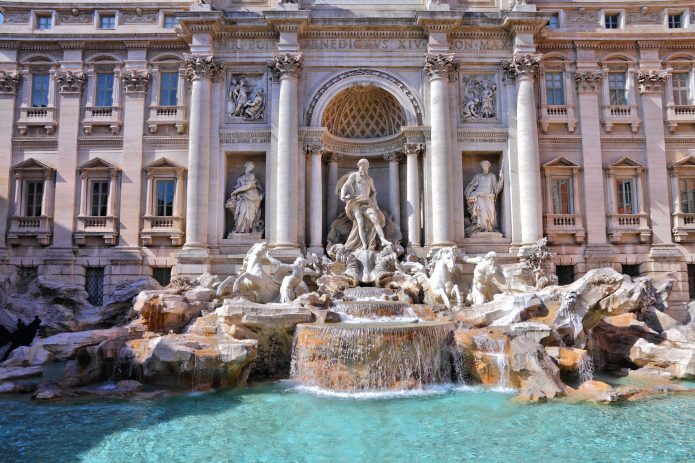 Who does not have in mind the famous bath of Anita Eckberg in the Trevi Fountain, or the unforgettable Audrey Hepburn riding a Vespa around the Capital with Gregory Peck in the Roman Holiday movie? In this itinerary we offer you a tour of the attractions that have been the background of some of the most beautiful movies set in Rome since the 1940s. The walk takes place in the center of Rome so we left to you the choice of the point from which to start, according to the movies and their main locations. If you have decided to visit Rome in 3 days you can choose this itinerary as an alternative to the classical tours. Rome Open City – 1945: the Roberto Rossellini’s film, played by a great Anna Magnani, is considered one of the masterpieces of the world cinema and of neo-realism. Set in a Rome where the Fascist regime has just fallen, he sees as protagonists a priest, a commoner and a communist engineer who are trying to resist the violence of German invaders. Many scenes have been shot in the Pigneto (like the final one where the protagonist, Pina, is killed while running behind the truck that takes away her husband captured by German soldiers, this takes place in Via Raimondo Montecuccoli). Another location is Piazza di Spagna where you can still see the pension from which a partisan, surprised by the Nazis, flees on the roofs of the Spanish embassy. 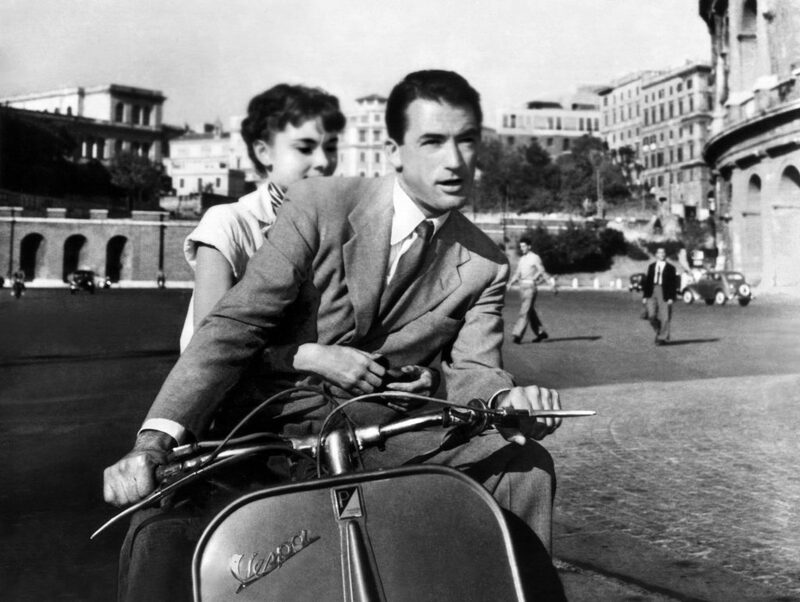 Vacanze Romane(Roma n Holidays) – 1953: Unforgettable film by William Wyler with Audrey Hepburn and Gregory Peck. Shot entirely in Rome and in the studios of Cinecittà. Among the most famous locations where is shown the story of the beautiful Princess Anna, heir to the throne of an imaginary kingdom and the American journalist Joe, there is Via Margutta 51 (the house where Joe lives and where Anna spends a night); the Trevi Fountain (where the haircut scene is set); the Trinity Monument Stairway (where they meet Bradley with an ice cream); The Pantheon (scene at the bar with the photographer who is the journalist’s friend); The Colosseum (where the protagonists enter after the famous Vespa tour); The Mouth of Truth (where the scene of the unspeakable secret takes place); Piazza Barberini, (seat of the Embassy where Anna was a guest). An American in Rome – 1954: directed by Steno, is a costume satire of post-war Italy. 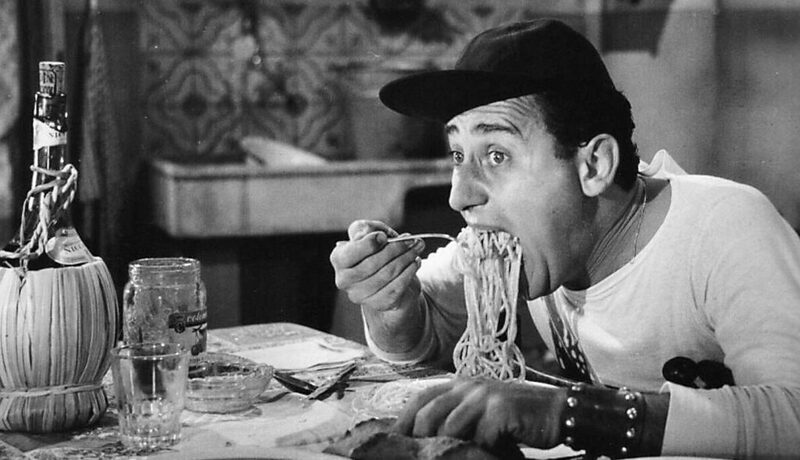 Alberto Sordi interprets Nando Mericoni, Trastevere‘s young boy ridiculously obsessed with all that is American. The location included in the itinerary of films in Rome is that of the Colosseum. It is here that the movie begins. In fact, in the initial scene, Nando climbs the Colosseum and threatens to throw himself down if he is not alllowed to reach his dream or going to Kansas. His friends attend the scene and begin to remember the most exhilarating episodes of his young life. Unforgettable scenes are those of the spaghettis or that of road information given in a stingy English. La dolce vita (The sweet life) – 1969: Directed by Federico Fellini who in this film immortalizes the image of a Italy after the end of the war, which after losing its innocence, looks to the American model, with the desire for a life of indulgence and pleasure. The novelist Marcello Rubini (Marcello Mastroianni) tells the story of Rome. 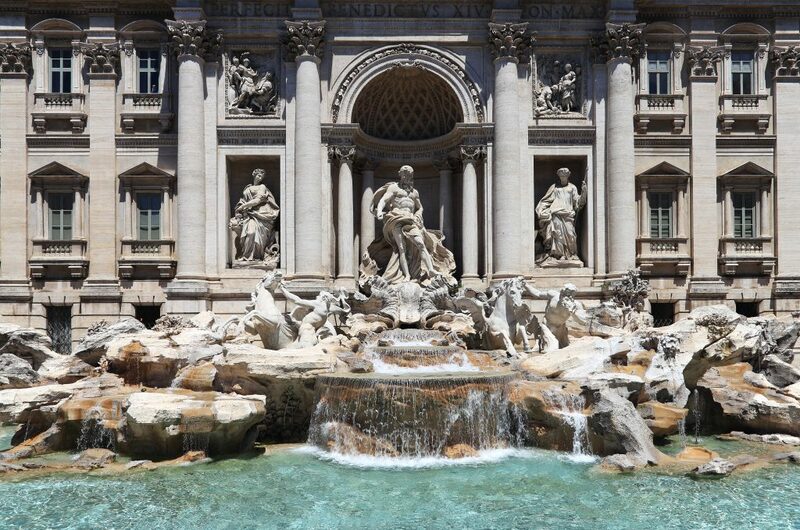 The most famous venues are the Trevi Fountain, in which Anita Ekberg enters and invites Mastroianni to dance by whispering the famous “Marcello come here!”, and Via Veneto, in the past, a symbol of celebrity nightlife. Among the other locations there is also Piazza del Popolo, where the parties attended by Mastroianni took place. Mr. Ripley’s talent – 1999: of the Oscar-winning director Anthony Minghella and taken from the novel by Patricia Highsmith, the film is a psychological thriller played by a great cast. Tom Ripley (Matt Damon), a brilliant but psychopathic man, meets Dickie Greenleaf (Jude Law) and his girlfriend Marge (Gwyneth Paltrow) who escaped in Italy to live with the money of Greenleaf’s father. The latter hires Ripley to bring him back home but after some time, overwhelmed by envy, Ripley ends up killing Greenleaf and assuming his identity. Among the scenes in Rome there are those set in Piazza Navona, at the Roman Forum and the Campidoglio. 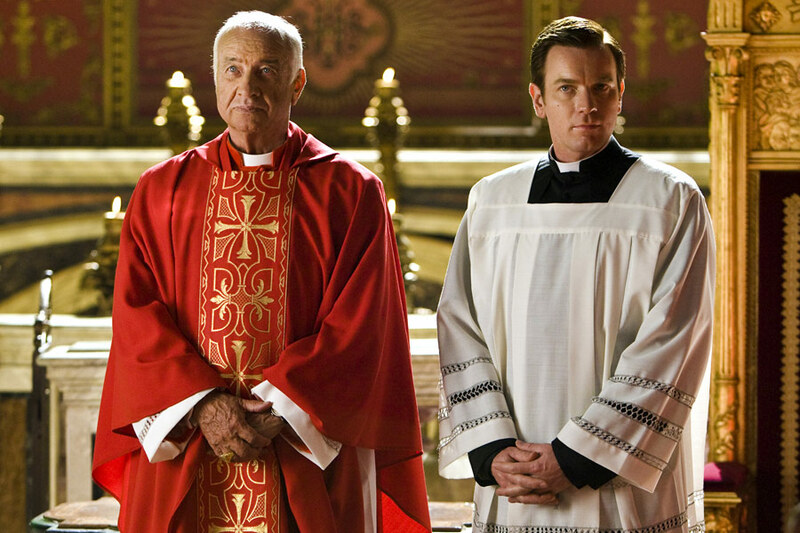 Angels and Demons – 2009: Dan Brown’s best-selling film directed by Ron Howard and with Tom Hanks deals with the story of the brilliant professor Robert Langdon who is called to Rome by the Vatican to decipher the symbol delivered together with a threat letter. A symbol that belongs to the Illuminati, a secret society that has in its ranks scientists and artists with the sole aim of destroying the Catholic Church. The film features some of Rome’s most characteristic places: the Church of Santa Maria della Vittoria (inside it the scene of the shootout between the murderer and the men of the Vatican Gendarmerie was shot); St. Peter’s Square (where Robert Langdon arrives inside a Lancia Delta); Piazza Navona (here there are dangerous chases between the police cars with sirens blaring and the assassin who, when reached, manages to run away leaving behind a trail of blood); Castel Sant’Angelo (within which there are shootings and chases and the area is surrounded by police and helicopters in an attempt to stop the assassin, hidden in the secret); The Pantheon (chosen as the scene of the first horrible crime. On the floor the body of the first killed Cardinal will be found). 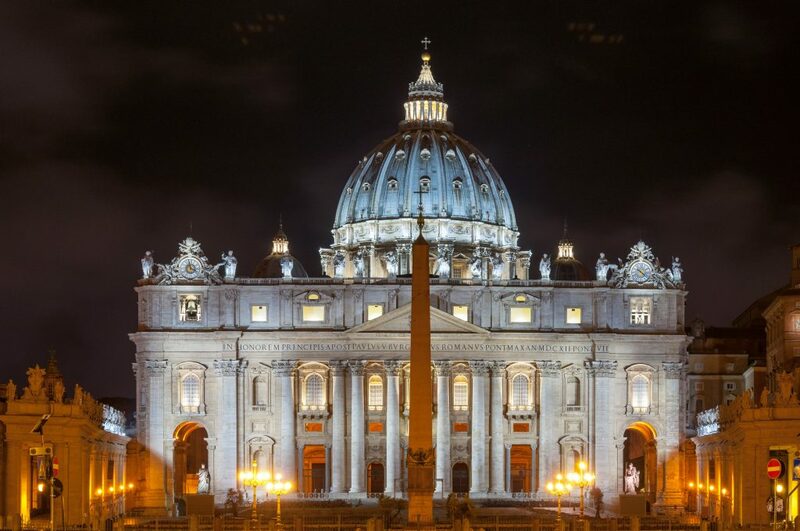 Take part in the tour of the Dan Brown’s novel locations! The Great Beauty – 2013: directed by Paolo Sorrentino, winner of the Oscar 2014 as the best foreign film. He narrates the story of the novelist Jep Gambardella (played by Toni Servillo) who begins to meditate on his life between lounges, terraces, gardens and Roman squares. The film has been shot almost entirely in a decadent and beautiful Rome. Amongst the breathtaking sceneries that can be seen in our itinery of films set in Rome, there are Villa Medici, Palazzo Barberini, Piazza Navona, Palazzo Pamphilj, Caracalla’s Baths.